This took place I think on Purim near Carmiel, but I'm not sure of the details. He was attacked by 3 arabs, and being trained somewhat in the ways of the Nanach Abir Yehoshua Sofer (check it out e.g. at http://www.youtube.com/watch?v=9j40VUjUqZU) he beat them up pretty bad, but then they came back with hammers and stuff and they beat him pretty bad (didn't see but I heard he has a pretty ugly bruise on his face and he's limping) with the hammer, but he miraculously walked away B"H. Pray for his full and speedy recovery. 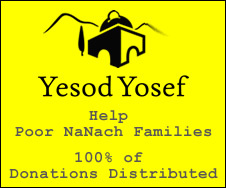 I know Yehoshua Sofer cool guy i had the pleasure to make a few videos for him.